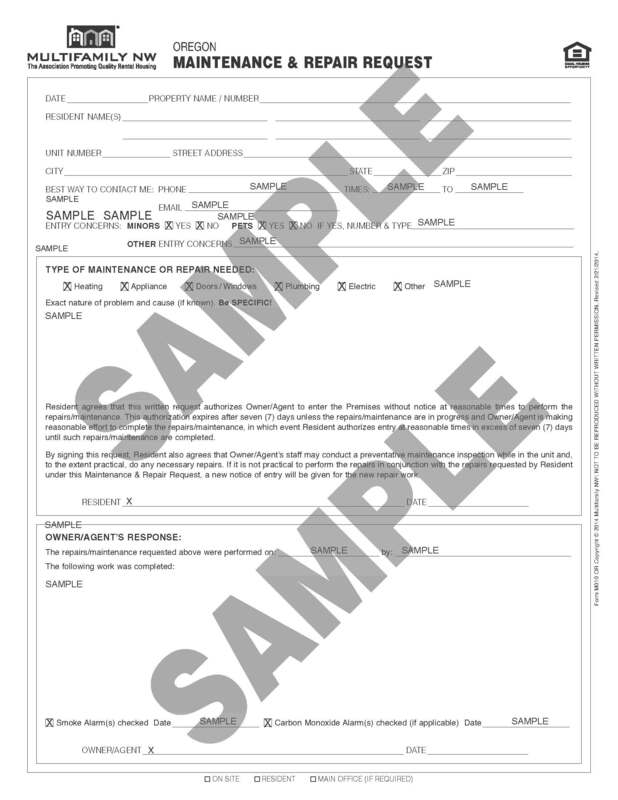 The Maintenance & Repair Request form is designed to be completed by the tenant who is communicating in writing specific repair requests to the landlord. Keeping a written record of repair requests is a best practice and this form provides a great template for that compliance. The Maintenance & Repair Request is very helpful for several reasons. Firstly, by signing the tenant agrees and authorizes the landlord to enter the premises without notice at reasonable times to perform the requested repairs/maintenance. This ability to enter is good for 7 days, unless the nature and scope of the repair takes longer, and the landlord is making a reasonable effort to compete the repairs. Additionally, the form authorizes the landlord to conduct a preventative maintenance inspection of the premises. The tenant can disclose any entry concerns such as minors or pets that would be present, and prompts disclosing the best method to contact the tenant. There is also an area for the landlord to respond, confirming what repairs or actions were taken. The Multifamily NW Forms Collection is available immediately and electronically at www.RentalFormsCenter.com, via an electronic subscription software through www.tenanttech.com & by mail or pick-up of printed triplicate forms at www.multifamilynw.org.